ARJ21 AC109 completes maiden flightAC108 completes two delivery flight tests__Commercial Aircraft Corporation of China, Ltd.
ARJ21 AC109 completed maiden flight in Shanghai on December 22nd, 2017. ARJ21-700 AC109 completed maiden flight at Shanghai Dachang Airbase on December 22nd, 2017. 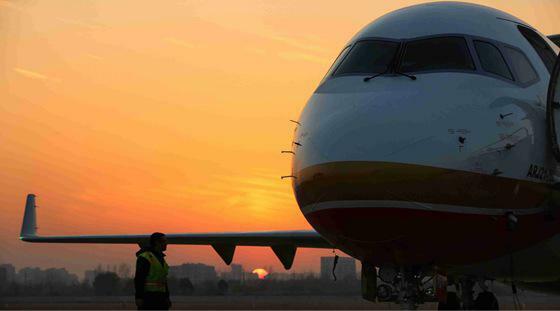 This is the fourth ARJ21 aircraft completing maiden flight this year. On the same day, ARJ21-700 AC108 completed two delivery flight tests. AC109 took off at 13:38 and landed safely at Shanghai Dachang Airbase at 16:40 after a flight of 3 hours and 2 minutes, during which a production flight test was completed and the performance of each system of AC109 was verified. AC108 took off from Dachang Airbase at 8:36 and landed safely at Nantong Airport at 11:30 after a flight of 2 hours and 54 minutes. 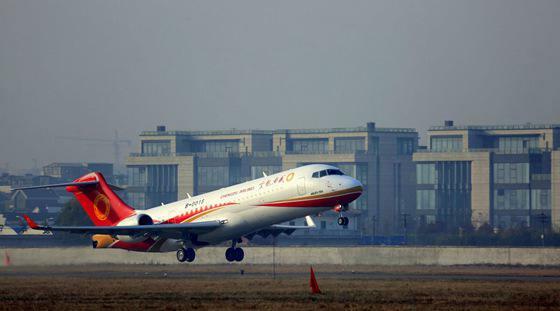 It took off again from Nantong Airport at 13:29 and landed at Dachang Airbase at 15:20 after a flight of 1 hour and 51 minutes. ARJ21-700 AC108 completed two delivery flight tests on December 22nd, 2017.